Dr. Tony Nakhla was recognized as a "Super Doctor" for 2019. Readers of Los Angeles Magazine voted and bestowed Dr. Tony Nakhla with the honor of being featured in the Best of L.A. in 2013. Dr. Tony Nakhla simplifies complex principles of modern dermatologic theory and provides ten practical steps. Dr. Nakhla's Breakthrough Antiaging Skincare Line. Now available at OC Skin Institute, Neiman Marcus, and other fine retailers. Our practices offer a number of medical dermatological treatments for acne, wart removal, cures for rashes and more. Dr. Tony Nakhla is a skilled skin cancer surgeon who can detect, remove and treat skin cancer through Mohs surgery. OC Skin Institute continues to offer an increasing number of cosmetic procedures to meet the desires of our patients. 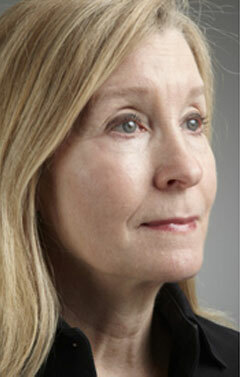 Our practices also provide cosmetic surgery, including facelifts and blepharoplasty or eyelid surgery. "First we'll make it healthy. Then we'll make it beautiful." 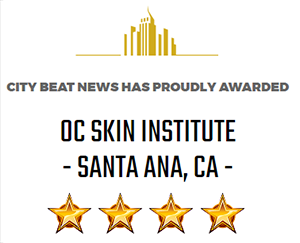 OC Skin Institute is a premier dermatology practice with 3 locations throughout Orange County, California. Our board certified dermatologist and Mohs surgeon, Dr. Tony Nakhla, offers medical and cosmetic treatments for all types of skin. Our experienced team has seen and treated nearly every possible medical skin condition and can help you with all your skin care needs and wants. Southern California Rising Star in 2013, 2014 and 2015. Top 10 list of dermatology offices in Santa Ana! Award for excellence in customer service. In a diverse area such as Orange County, dermatologists must be able to provide patients with a variety of services that can be customized and tailored for each patient. 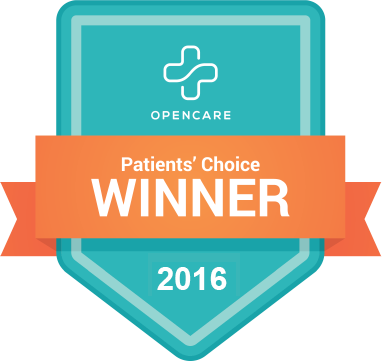 Dr. Nakhla takes the time to evaluate each patient's concerns in order to provide a treatment that is just right. Whether it is a plan to prevent acne breakouts or removing a cancerous mole, we are committed to helping you improve (and even save) your life. Dr. Tony Nakhla demonstrates a variety of cosmetic procedures on actual patients. He explains the benefits of each treatment and why he is performing them. Get a first hand look at Dr. Nakhla's work. Lip Enhancement with Juvederm Dr. Nakhla utilizes .5cc of Juvederm to enhance the lips. 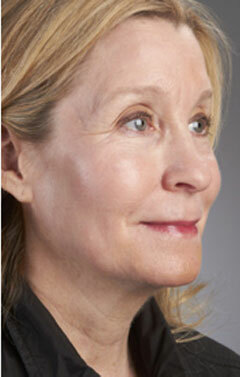 Treating Smile Lines with Radiesse Radiesse injections provide a natural and youthful look. Facial Rejuvenation using Sculptra Dr. Nakhla revolumizes a patient's face and treats discoloration of the skin. Treating Facial Wrinkles with Dermal Fillers Dermal fillers help restore volume in the face and reduce the presence of wrinkles. Dr. Tony Nakhla, a Mohs surgeon, explains the risks of excessive exposure to the sun and helpful tips on how to prevent skin cancer including the proper use of sunscreen and a healthy diet. OC Skin Institute offers the latest in dermatologic services and we can help you feel confident, youthful and revitalized. We start by addressing any medical dermatology conditions or concerns, if any are present. Once your skin is healthy, we can then take advantage of a variety of cosmetic procedures including Botox injections, laser hair removal, fractional CO2 laser treatments and a whole lot more. Our practices also offers cosmetic surgery procedures including blepharoplasty, facelifts and liposuction. We utilize a number of advanced lasers, dermal fillers and injections, facials, chemical peels, etc. for the best possible outcome. Our ultimate goal is to achieve a youthful and natural appearance while providing patients the least amount of pain and minimal recovery time. Dr. Nakhla and his team don't just treat skin conditions, they provide patients with the tools and knowledge required to help keep their skin healthy and beautiful. Dr. Tony Nakhla is also a highly-skilled Mohs micrographic surgeon who performs a microscopically controlled surgery to remove the most common skin cancers with a high cure rate. While every condition our practice comes across is important, it is our reputation as a leader in skin cancer treatment and detection that all too often helps change and save lives. With more than 2 million new cases of skin cancer diagnosed annually in the U.S., this epidemic is not only treatable, but typically preventable. Using advanced technologies, Dr. Nakhla and his experienced team are able to provide patients with the most advanced and effective skin cancer treatments available today. Browse our Before & After Gallery Results may vary.